1. Cut Kraft cardstock to 4. x 5.25 inches. 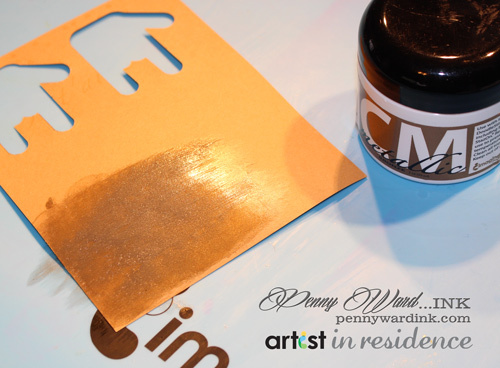 Stamp the sentiments across this panel with Memento Luxe Peanut Brittle ink. 2. Spritz a tiny amount of irRESISTible Wedding Dress across this panel, then run edges across a StazOn Cotton White pad. Let dry. Using a scoring board, score a line across the card front about an inch above the bottom. Adhere this panel to a card base made from White cardstock trimmed to 4.25 x 11, folded in half. 3. 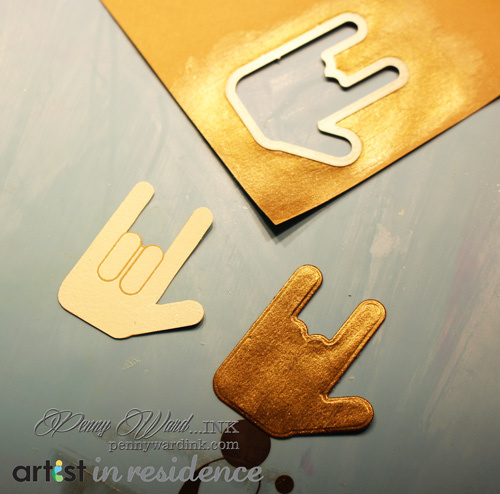 On a scrap of Kraft cardstock, apply Creative Medium Metallic Bronze with an Inkblusher. Let dry. 4. 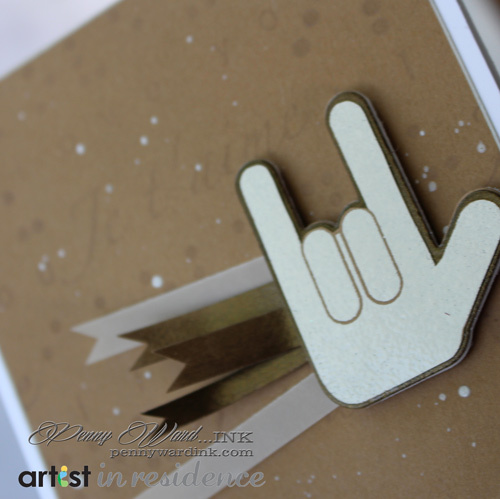 Die cut the sign language embellishment from the Metallic Bronze panel. Stamp a scrap of Kraft cardstock with VersaMark ink, then heat emboss with White powder, hand trim. Stack, adhere together so the Bronze embellishment is surrounding the white. 5. Cut strips of Bronze Metallic from left over Kraft scrap as well as Vellum. Notch ends and adhere to card front at middle right side. Adhere sign language embellishment on top. 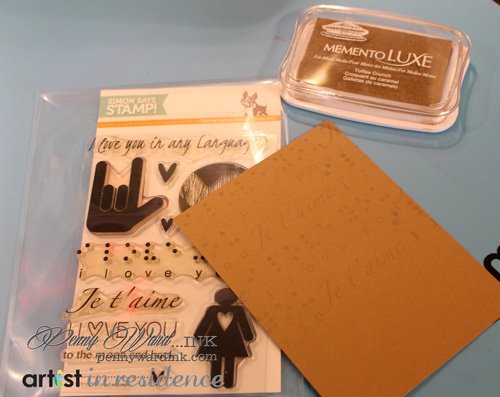 Stamp sentiment with Versamark ink and heat set white embossing powder as shown.